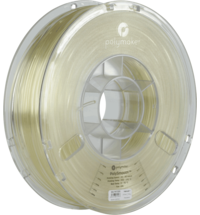 Polymaker PolyLite PC (previously PC-Plus) is a polycarbonate-based filament specially developed for use in FDM / FFF 3D printing. 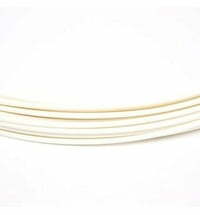 The material offers many advantages. 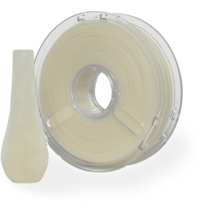 Excellent print quality, high mechanical strength and heat resistance at moderate printing temperatures. 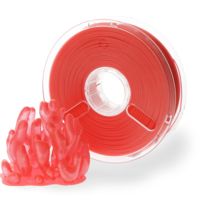 When printing with PolyLite PC, we recommend using BuildTak continuous printing film for best results. 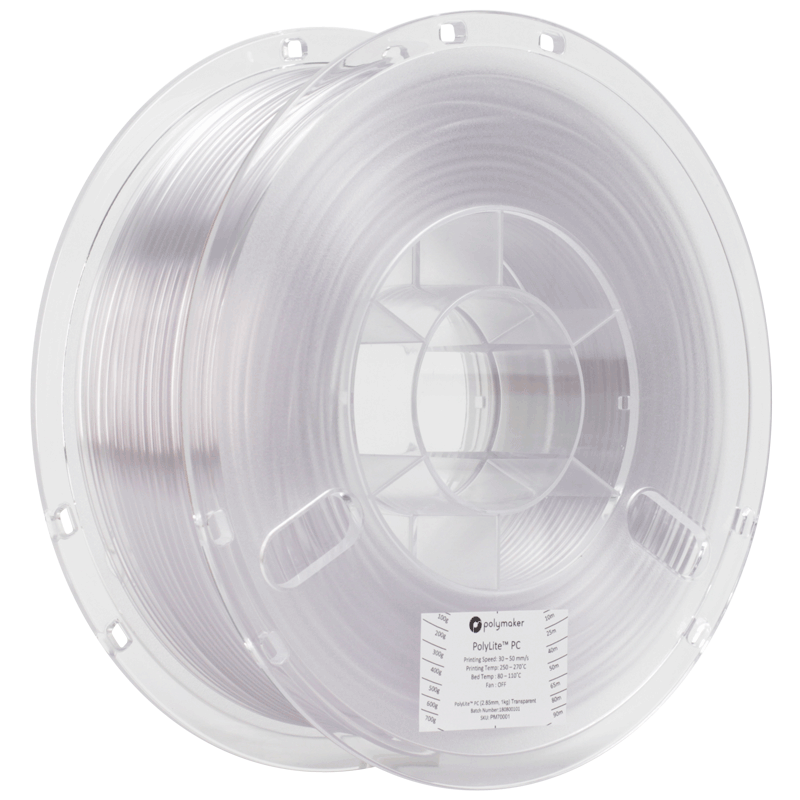 Over 60 years ago polycarbonate (PC) became one of the most popular engineering plastics. 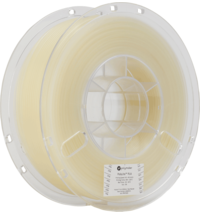 With Polymaker PC-Plus ™, the material has also entered the 3D printing industry. 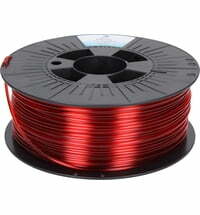 The filament shows good clarity. The parts have a nice crystalline shine. 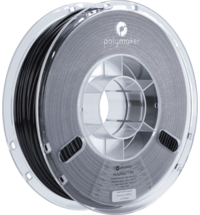 Polymaker PolyLite PC™ offers better heat resistance than almost any other 3D printed material currently on the market. It can withstand temperatures well above 110 ° C.
PC was basically only for expensive or "industrial" FDM machines though. 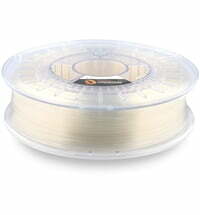 That changed with the Polymaker PC. 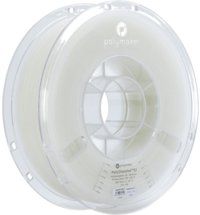 The Polymaker PolyLite PC™ is specially designed for desktop 3D printers. 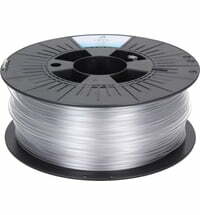 Polymaker supplies a material with excellent properties and good printability. 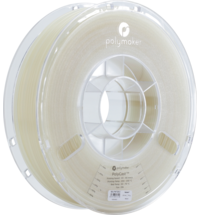 Polymaker PolyLite PC™ can be easily reworked. The print can be sanded to get a nice smooth surface. 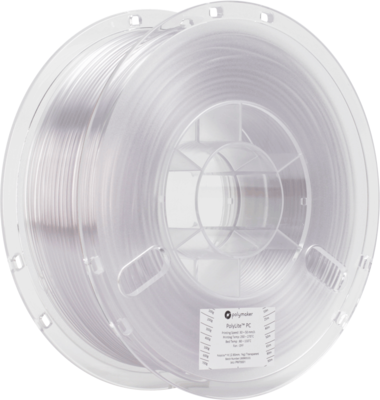 For more transparency and a glassy surface, you can also paint the component easily. 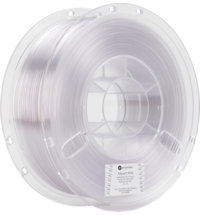 Polymaker PolyLite PC™ filament components have significantly improved mechanical strength, unlike ABS and PLA. 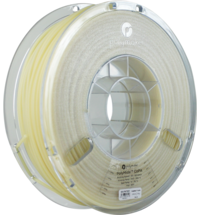 With Polymaker's quality controls and rigorous testing, you get reliable filaments with consistent quality. 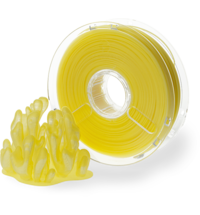 Polymaker recommends using all products with BuildTak durable printing film for best results.